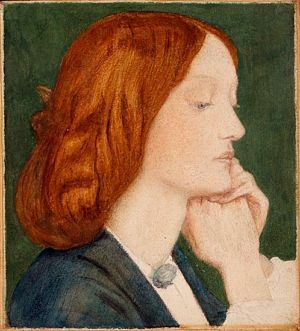 I wanted to share with you a recent email sent to LizzieSiddal.com from a fellow Lizzie Siddal enthusiast. I probably fell in love with Lizzie during my teens. The Blackfriars drawings fascinate me. They ought to be collected in a single volume. Also, how similar in mood they are to the sketches Emily and Anne Bronte drew of each other, and also themselves when alone. I grew up in Surrey, an only child, so I brooded on Lizzie a lot while at Kingston College doing my A levels. Then I suddenly realized that I had known for years where it all happened and where so many of the late 1840s pictures were painted. The exact spots. Little clues tied in with my childhood and gave it away. I read quite a few biographies and histories of the PRB and the authors obviously hadn’t a clue as to location. So it became my secret. Now, forty years later, to my surprise, nobody seems to know. Other than me. Topography in that area can be quite confusing, actually, because it became so very suburban during the 1930s.The new development of those days broke with the natural continuity of the 19th century. So I have always known where to find her among the willows of those distant days. I wish a happier life could have been hers, but they had what they had, she an DGR, and the drawings are wonderful. Dear Stephanie, the best documented opium induced death I can think of would be poor Branwell, the brother of the Brontes. He also used large amounts of gin and may have been tubercular. But most accounts claim that during his last few days his old self returned, no longer bruised and bitter. Significantly, however, he seems not to have realized he was dying. This awareness arrived all at once during a visit by John Brown who hurried to summon the family to Branwells bedside. He died soon after. 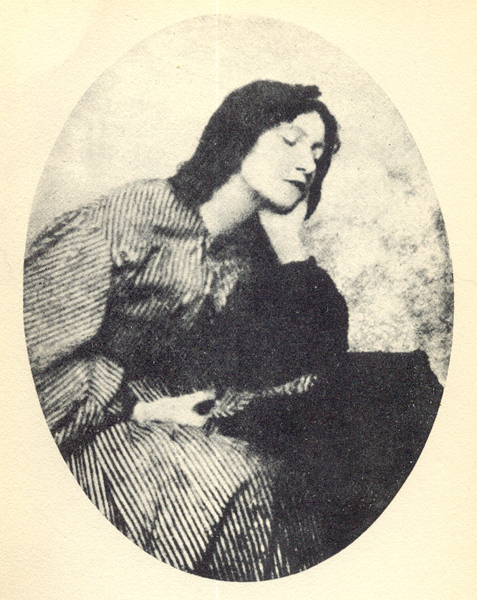 I suppose that like Branwell, Lizzie had kept herself topped up with opium for years, the amount she needed steadily increasing. The drug presumably induced its own foggy and false sense of security and well being. But work I have been doing recently has reminded me [if I needed reminding] that drug addiction and the mental problems it brings are always individual. How else would it be, given that each one of us is unique, special and valuable. Cheers. G.